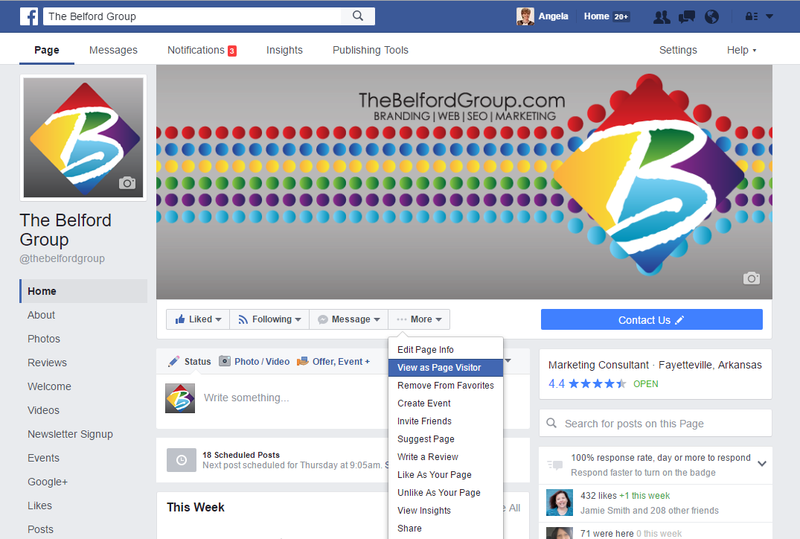 Today I’d like to talk about the changes that FaceBook rolled out to the desktop view of most FaceBook business pages August 5, 2016. 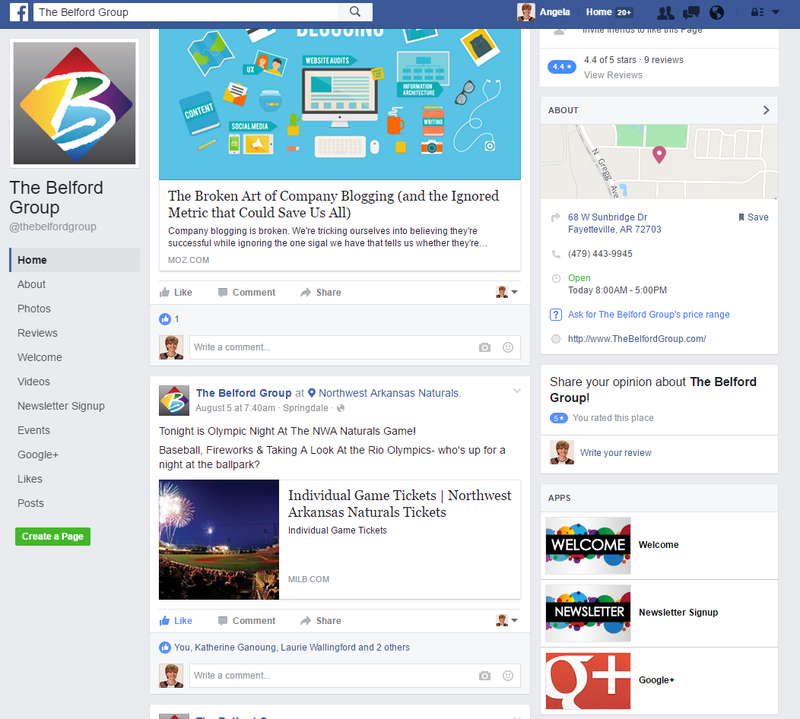 Things we love about the new FaceBook 2016 Business page layout. Profile picture has been removed from overlapping the cover photo. While it was fun to create interesting graphics that combined the two photos, it was also limiting and if FaceBook changed any size of the graphics the creativity just looked unintentional. The name, category, like button and all other action buttons have been removed from overlapping the cover photo. It was always challenging to design a cover photo and know how much room was needed for this text because if a client had a long category it would wrap and further limit the space available. Call to Action button is more prominent. The point of a FaceBook business page for small business is to generate leads or be a customer service tool. The call to action also now includes many more options for contact. You are able to edit the button to link to your website, apps and a myriad of other options. Left panel navigation creates great opportunities to optimize apps. 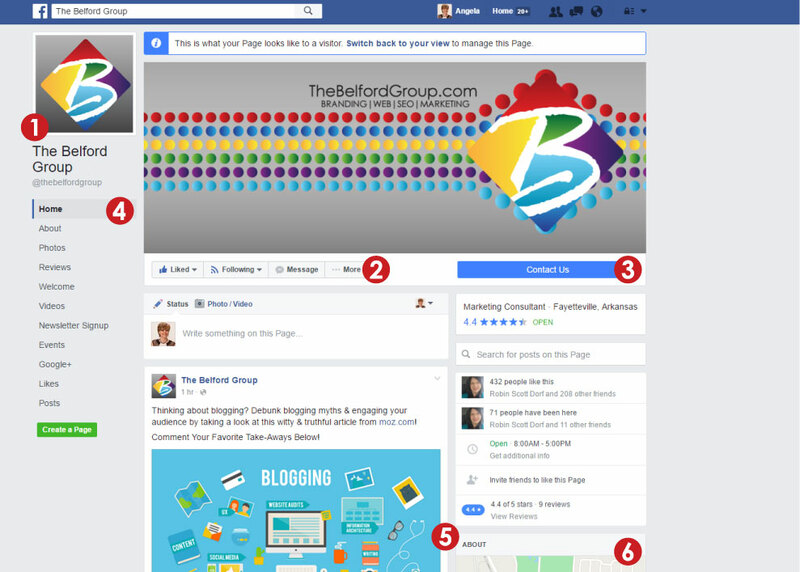 We’ve done FaceBook Welcome Apps for years because we believe it creates links to your website. Also if a potential client wanted to get a feel for your overall offering without going to your website a Welcome App was a great option. For the last several years, the apps became increasingly buried to the point of being irrelevantly stored in the drop down next to About, Photos and Reviews. This left navigation will give business owners many opportunities to include links to blogs, newsletter signups, and eCommerce shops. About Us is prominently on the right-hand navigation. This makes it easier for people to see information about you without having to click the About button. Now’s a good time to review your FaceBook business page. In addition to looking at it as an administrator, don’t forget to view the page as a visitor. 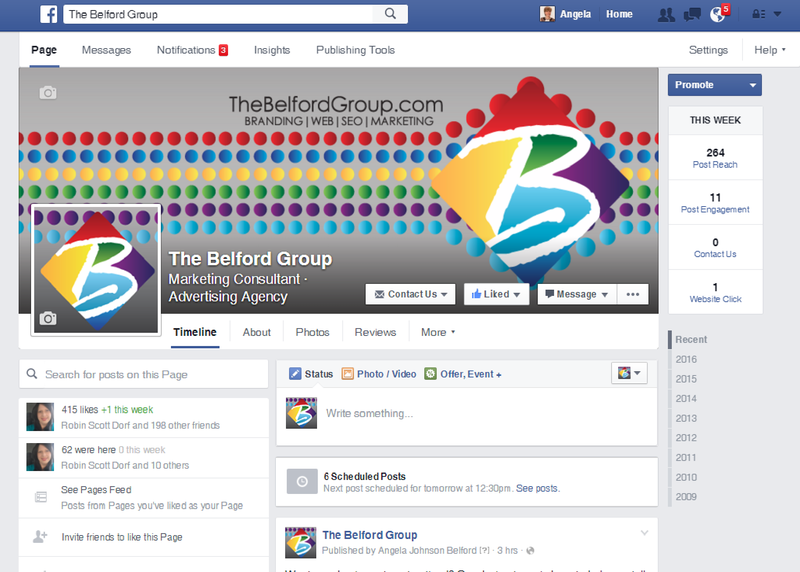 If you’d like some help in taking advantage of the new changes to FaceBook, call The Belford Group. 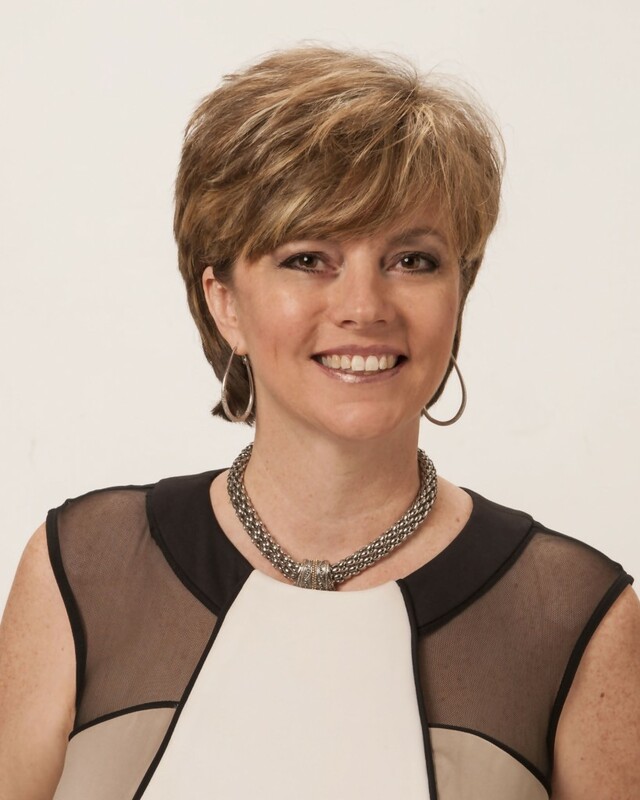 This week we are busy updating Facebook pages of clients on social media management contracts, but we still have time to discuss how you can further optimize your FaceBook Business page.